A very special, and notably rare area of lowland heath-grassland, designated a Site of Importance for Nature Conservation (SINC). This habitat is an oasis of rich bio-diversity supporting nationally important plant species, such as heath spotted orchid and heath milkwort. As well as plants, there are birds to see such as Linnets, Yellowhammers, Whitethroats, and there are butterflies such as Meadow Brown, Silver-washed Fritillaries and Green Hairstreak. 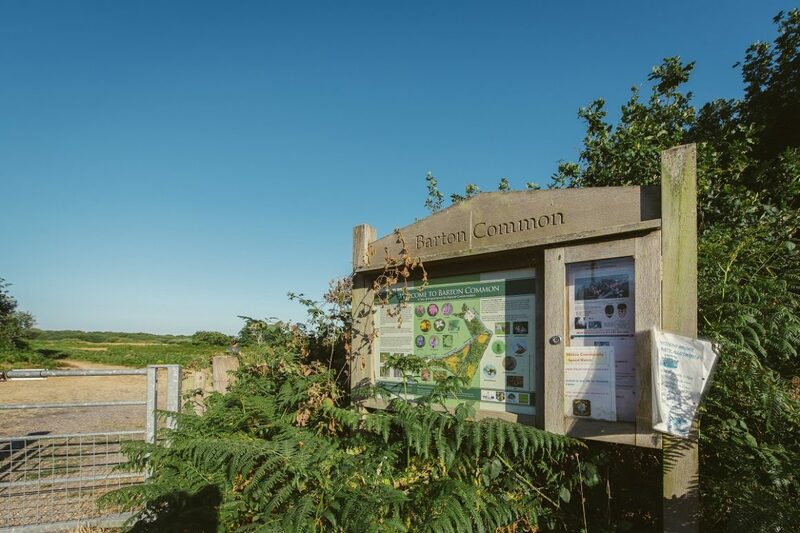 Barton Common is a 19 hectare site managed by New Milton Town Council under Higher Level Stewardship. New Forest ponies were re-introduced to the Common and now their grazing has helped restore the grassland while we also manage some areas by cutting and burning of invasive gorse. We hope you enjoy your visit and don’t forget to take the time to admire the views across the Solent to the Isle of Wight. Please help care for our special green spaces and remember the Countryside Code when visiting!